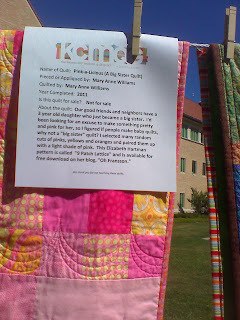 Here are a few more photos from the Kansas City Modern Quilt Guild show earlier this month. 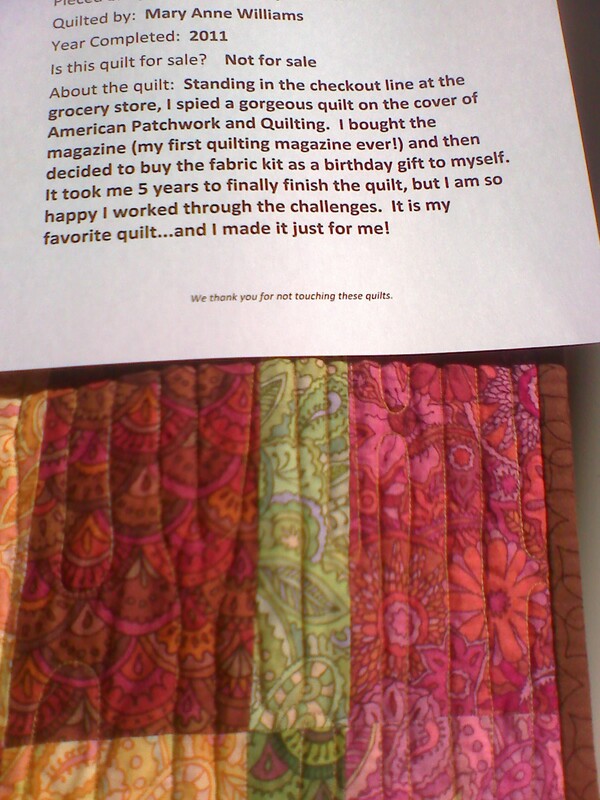 Today's beauties were all made by a quilter named Mary Anne Williams. Don't you just love the fabrics and colors in this quilt? It reminds me of a happy spring day. 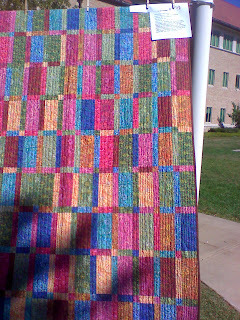 I also think that, if you were careful about the colors, the pattern would make a great stash buster scrap quilt. For example, I would be unhappy with the result using this pattern if I were to mix some of my Civil War reproduction fabric with bright children's fabric. This is another happy-looking quilt. 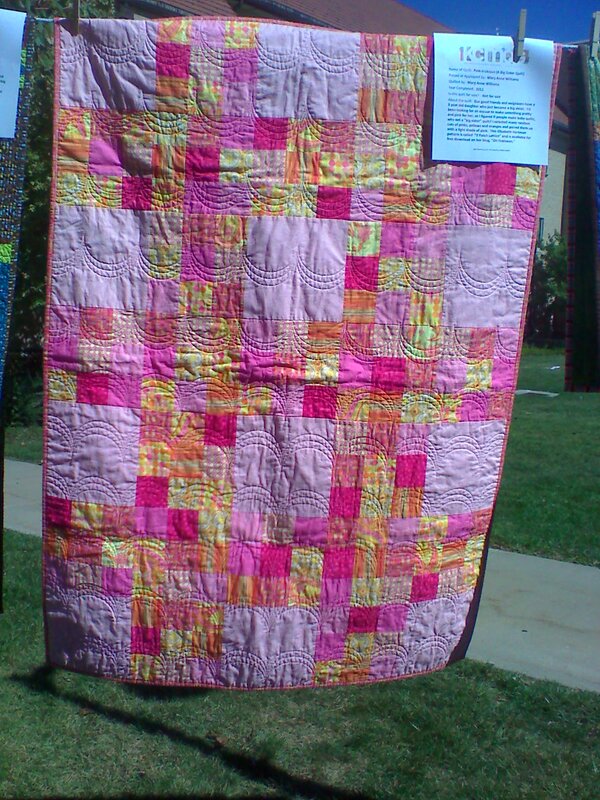 The colors are exactly what were my daughters' favorites when they were young, so I think of my daughters when I look at this quilt. I also like this quilt because the pattern looks like one I could actually make myself. The members of this guild certainly are talented.